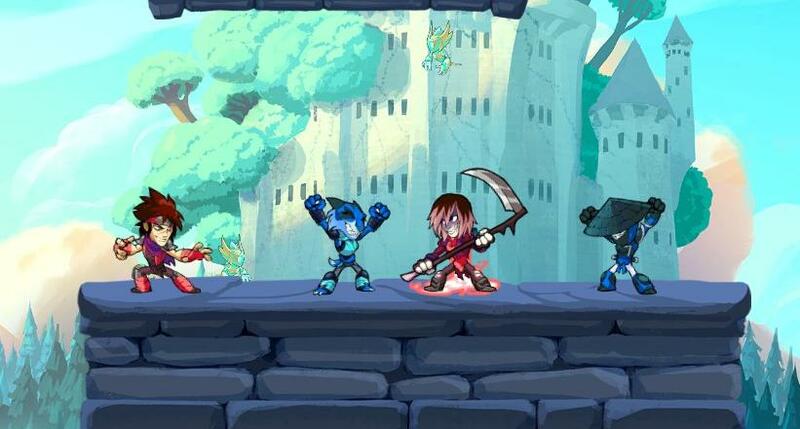 For those who seek more knowledge to get better at Brawlhalla. How to Play: Cross Guide. Before we start i would like to inform you something so be sure to read this first: This is the first time i make a guide and tbh i may don't have a good grammar so i am sorry if i lack so many things in this guide(picture,grammar,etc) and another "important" thing is that i put in some bold and italic text hoping to make it more convenience for those who always claim "I don't have time to waste". Some people may confused with the title since we all know how to pick up a weapon/gadget in game, even a beginner can do that. I do understand because the dropped weapon/gadget already give you an instruction how to pick them up, that is a L.Attack button but did you know that Throw button can be use to pick up the weapon/gadget? And now i recommend you to use Throw button instead L.Attack button and here is the reason why. In some cases that when you and your enemy are near the dropped weapon and there are so many times when you press the L.Attack button you lauch Light attack instead picking the weapon. As your light attack might hit the enemy you can then pick up the weapon, it's good if it's work as planned but since most enemy are moving around and might dodging that light attack you throw, it bring a chance to your enemy to get the weapon or punish you if they already have a weapon. This looks not so important but just to let you know when you picking a weapon with Throw button, you can evade the mistake of unwanted random hit because it is not causing any action(because most attack are punishable) and that is some good in using Throw button. As a mechanic of the game throwing weapon can be used in many ways like combo, interrupt, edge guard, or just to deal some damage. But here something that you need to know : Dash and throw will increase the speed of thrown weapon/gadget and even dealing more damage!!! (except damage from bomb and mine). You can try it in practice mode that dash and throw deal almost the same damage as the charged throw that charge around 1-2 second(s). 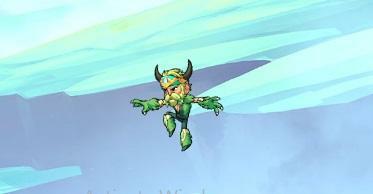 Here some other important thing in the game that you must know: you can control how fast you can fall from above by holding the down button while in midair. There are some advantage by using this trick for example you become unpredictable from enemy attack, you can get in the position, or you might punish your enemy if they are close. Many people wonder "Why he/she didn't die?" even if you knock them while they are in red and here is the secret. If you started to get knocked far i suggest you to continously press down button while knocked and that way will make you more faster to back to normal state(where you can do any action like recovery/jump) but be careful when you keep pressing the down button so much that you started to fast fall, still okay if you knocked to the top of the map but beware if you dragged into bottom map, but remember this trick may only work well with bigger map or get hit by less force. 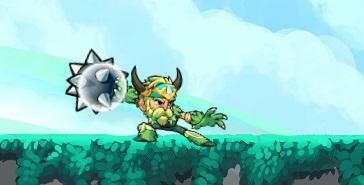 Also there is some litle thing that might help you to reach the stage easily if you are far from stage without consuming your jump/recovery that is using attack that give you some movement, for example Side Air from Rocket Lance/Cannon(take note that not all weapon have that ability) or you can just use Rider Kick *cough* i mean Down Air unarmed instead that you can use to touch the wall or to save some jump for enemy edge guard.Work well if you are from above.